Juan Angel Italiano lives in Maldonado, Uruguay. Seen from Berlin it is at the other side of the world. The world has many centers. One of those centers could be a simple spool. Open reel spools, bought at a street garage sale. Sounds dirty, interspersed. Sermons and locutions of evangelist pastors, tango music, radial advertising. As Discépolo recited in Cambalache: “the Bible next to the heater. 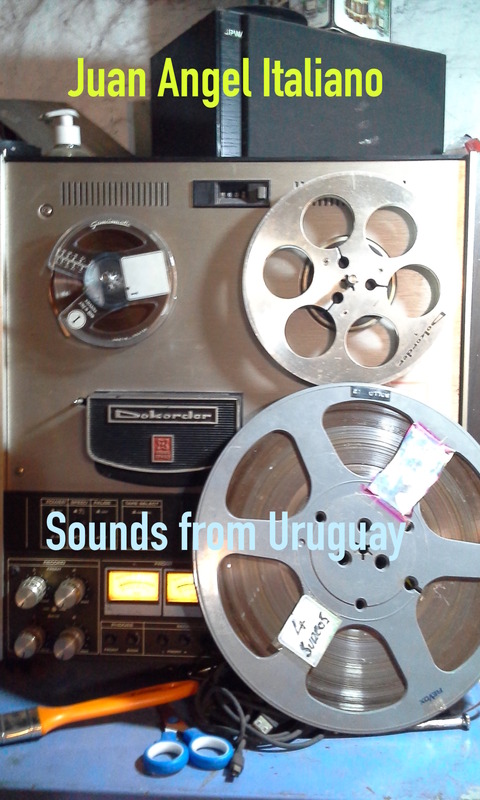 You are tuning channel 246, frequency modulated in stereo, Montevideo, Uruguay. There is also a handwritten date that says 1958. Tango music + final verses of the song “The wedding march” (by Venancio Clauso and Armando Tagini, 1932. Version by Jorge Ortiz and Orquesta Rodolfo Biagi, 1941) The poetic fatality of the suburb. Discos de aluminio recubiertos de una laca de acetato de nitrocelulosa, cascados, ya con el inconfundible polvo blanco producido por la acidificación de la laca con el metal.